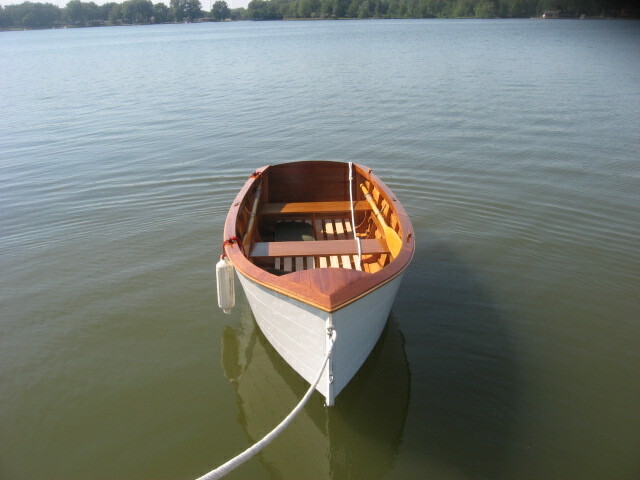 This boat took me 4 years in spare time to design and build. 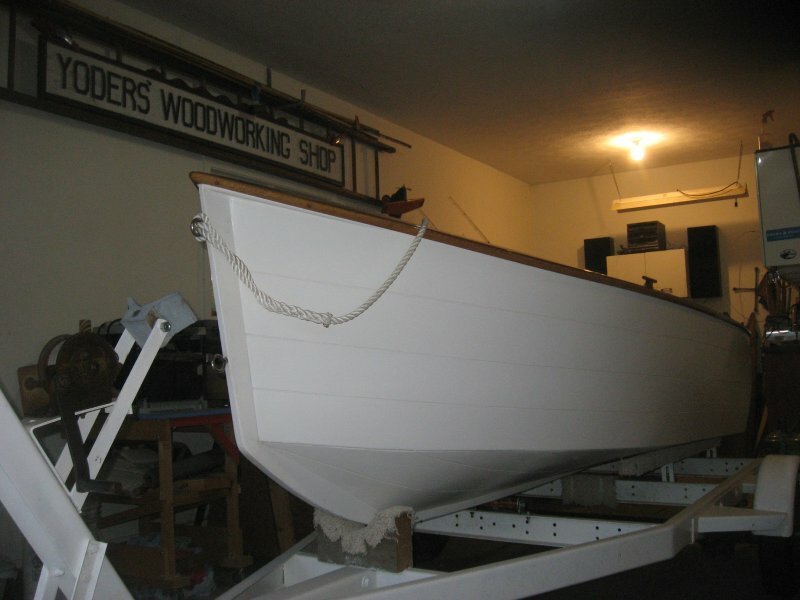 It has oak frames and spruse planking, the decks are chery and the transom and thorts are mahogany. 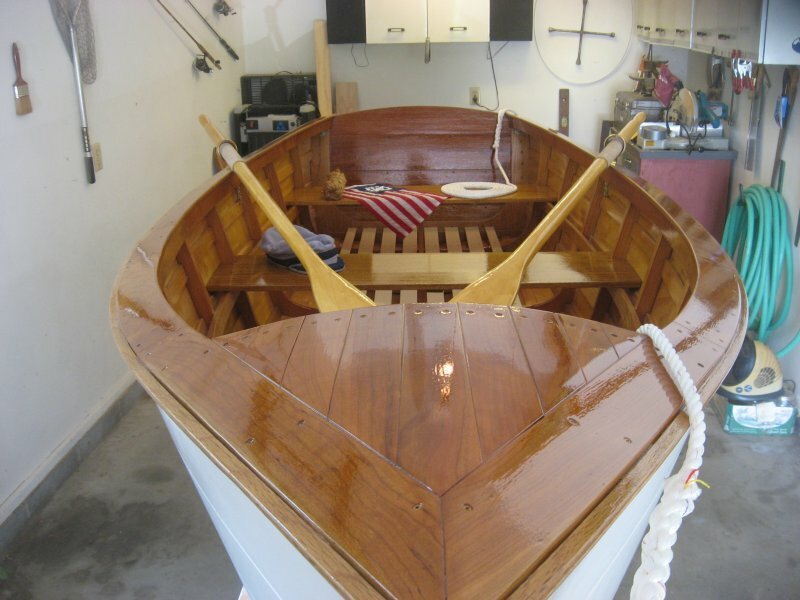 (The chery decks are from a tree that was in my back yard at my fathers house that I used to play in.) 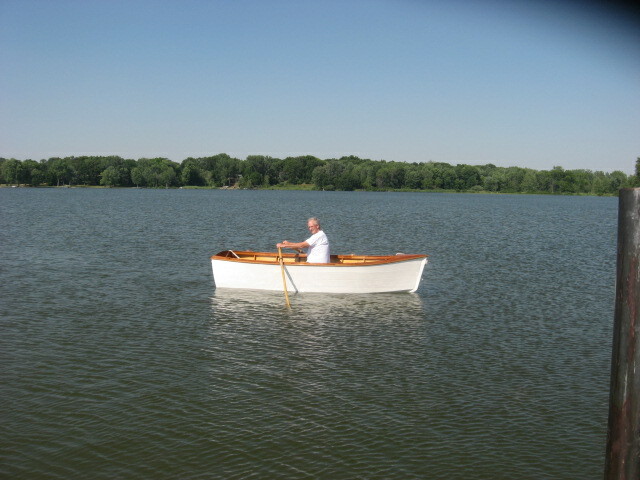 The oars are 7-1/2 ' spruce, but I think they should be longer. 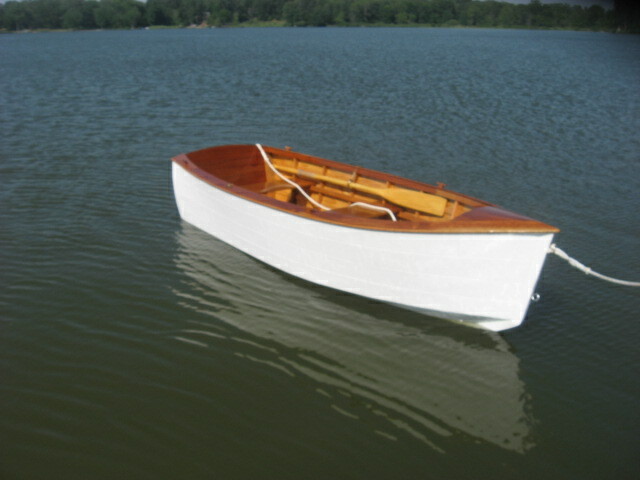 This is my second boat. My first was a 1959 15' Lyman that I restored. My father was a carpenter and a cabinet builder and I am a carpenter / maintenence supervisor at local college.